With growing age of children their daily expenses also increases such as school expenses, clothes, snacks, books, medical and other entertainment expenses. Nowadays parents need to make special provision for giving monthly allowance to their teenagers while preparing monthly home budget. The teenagers demand big monthly allowances from their parents to fulfill their needs. Therefore, it becomes very difficult for middle class parents with limited income to fulfill all the demands of their teenagers. It is also problem for rich parents to control their children’s unlimited expenses. The major concern for parents of teenagers is to control their expenses and plan monthly budget. It is very essential to teach financial lessons to your teenager. They should know how to manage money for essential things and how to save money for future requirements. If your teenager does not obey your order and makes unnecessary expenses, then it is time to control your teenager’s habit. Teach your teenager how to make a budget and spend money within limitsTeenagers understand the language of love more than the language of punishment. You should teach your teenager about how to maintain budget and set limits for expenses. Involve your child while making your monthly budgetThis will help him to understand the essential household expenses. You can also discuss that our budget is limited to this amount and we can not spend more than the budgeted amount. Once your child understands the budget limitation, he will realize his responsibility to reduce unnecessary expenses. Ask your child to bring monthly household itemsLet him buy quality product with reasonable rate. This way you can teach your child to buy good things at reasonable rate. Compare prices of items for different brands and select an item suitable to your budget. Encourage your child to savePersuade your teen to at least save 20 to 25% from his pocket month monthly for future and emergency needs. Make him understand how his saved money will benefit him in urgent need and if he wants to buy something expensive from his own money like cycle or two wheeler from bank money. Discourage additional moneyIf your child makes unnecessary expenses over the limit set by you, do not give him additional money for rest of the month and make him realize that he should manage expenses from his pocket money only. If you give additional money one time then he will get habituated to over spending. Let him realize his limits for expenses. Open a bank accountEncourage your teenager to save money monthly by opening bank account for your teen; also keep a close watch on his transactions. 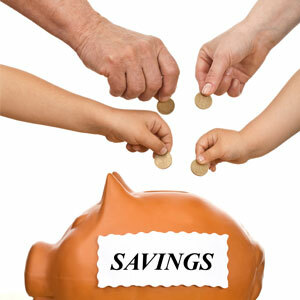 Encourage your child by giving him more money to save, when you find that your child is saving enough money regularly. Ask your teen to take up a jobIf your teenager is mature enough to do some part-time job, encourage him to do some respected work in his spare time during vacation. It is essential to keep watch that he is working in safe environment and with good people. Teach your child to make his own monthly budget from his allowancesAsk him to plan a budget for his monthly expenses and extra needs. In case of his extra need, check that his demand is genuine or not. If he demands unnecessarily you should explain him that why it is not essential at present to buy and if he wishes to buy it then ask him to save money for the same. Do not buy everything easily for your child even if you can afford it. You just need to make a habit of buying whatever he needs from his budget and savings. Teach your child to donateEncourage him to donate some money or do some charities from his pocket money. This will also inspire him to help the people who really need money and becomes a socially responsible person when he grows up. As parent you should also set good example for your teenager by controlling your expenses too. Remember your child always imitates you therefore you should always try to create a good impression on your child’s mind. This is the age where you need to behave in a friendly manner with your child rather than as a parent.